I wasn't sure how busting packs would go since we have a write-in free agent draft. I mean, I don't want to post player names of folks we haven't seen yet. I don't think that would be fair to folks that have already submitted their write-in picks. I considered simply busting a pack and only posting the hits and/or players already in the draft. That is the route I planned to take. And then I reached into the big ol' box. Problem solved itself. Tonight's pack is Leaf Awesome All-Stars. 5 stickers per pack. Oh, and some nasty old gum. Finally, a player named what most people say about a whole slew of players: "What's his name..." That was worth the whole fretting over tonight's post possibilities. The scary thing is that the back of that card is a close-up piece of a belly button sticking out of a shirt. It's pretty gross, actually. Now I'm pretty sure I put ole what's his name down for one of my picks!!! 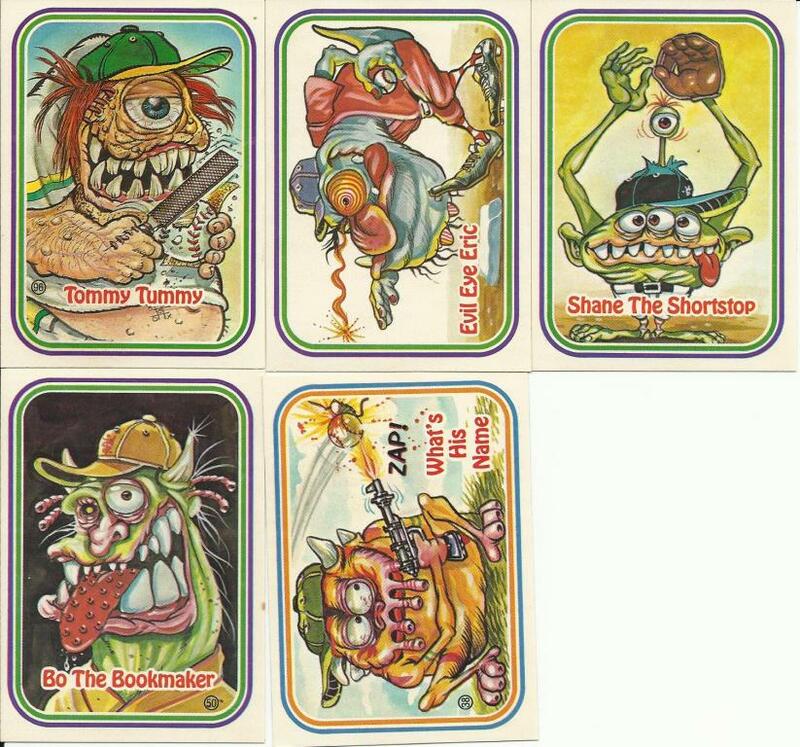 Tribecards from Outer Space: Cardboard Gods? Free Agent Draft is upon us! A bunch of packs from Workman! 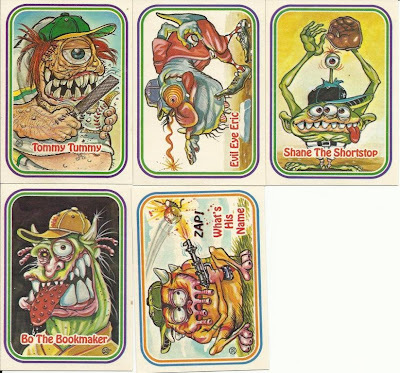 Tribecards from Outer Space: The big reveal. The Write-in draft results are in! Gint-A-Cuffs V: Break out the gloves, it's on! Baseball Boxers? Yes, baseball boxers. Tribecards from Outer Space: It's a Flyball! Tribecards from Outer Space: I got one!